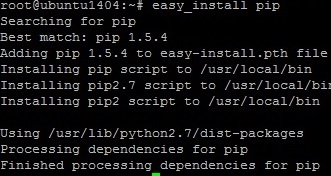 As you see in the screenshot, the python version is 2.7.6, so it is in the range of supported python versions. First you need to verify the if your system is a 32 bit or 64 bit system. My sever is a 64Bit system. 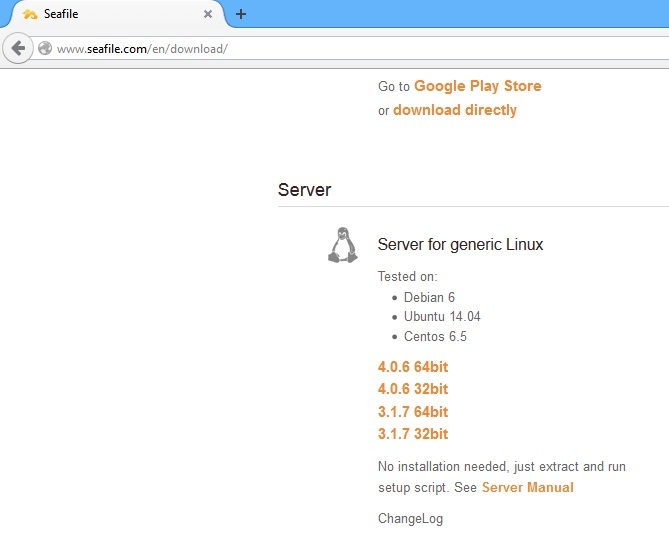 There are two choices to use on, either 32 or 64 bit, which are both available on the Seafile download page http://seafile.com/en/download/. 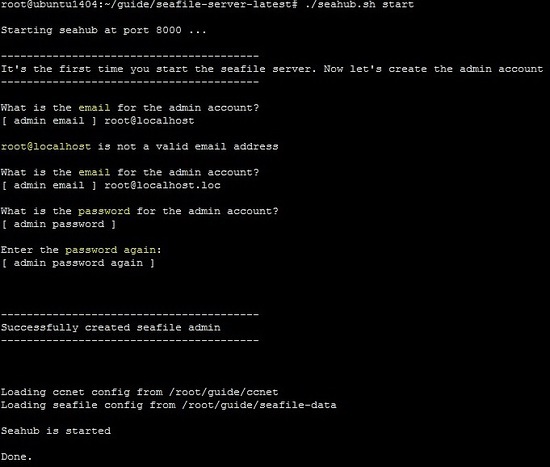 The next is, were gonna create the required directories. First, I need to create a directory name "guide"(this is just a sample in image 1.8), and you may use any name that describes your organization. Then move the file seafile-server_4.0.6_x86-64.tar.gz to a directory that we have created guide. Once your are inside, you need to extract the file, using the command tar. Next create a directory installed . We may move the file seafile-server_4.0.6_x86-64.tar.gz to newly created directory installed. 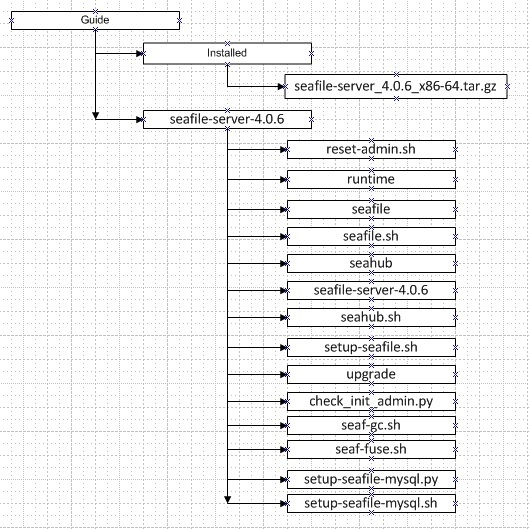 As described on this directory structure for our version, everything should be in right place. 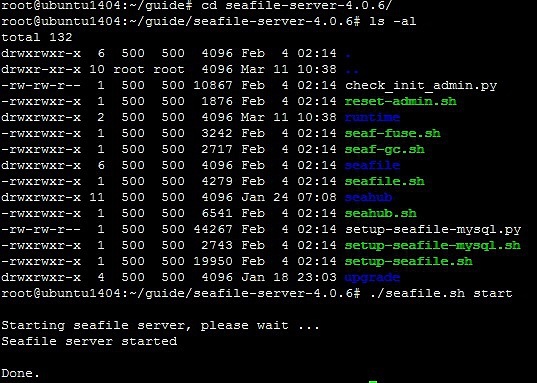 Where Installed and seafile-server-4.0.6 directories, should be within the directory of Guide. Seafile consist of 3 core components. We need to create a database for this given components. 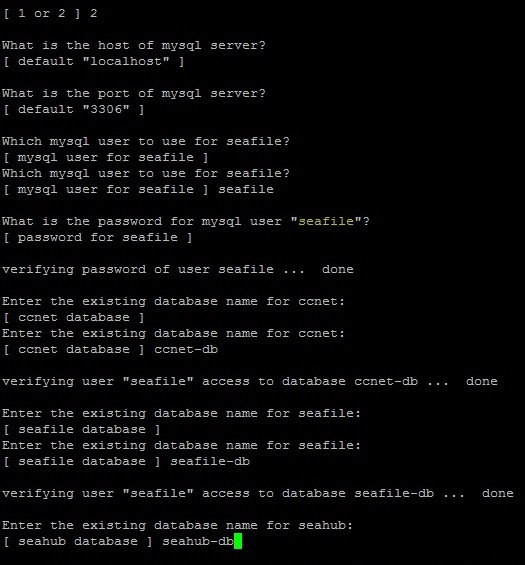 Were now creating the mysql databases, account and setting permission on given databases as listed. (this is just an example you may create your own design on your database name). Now were finish on creating databases, our next is configure seafile to point on these databases that we have created. 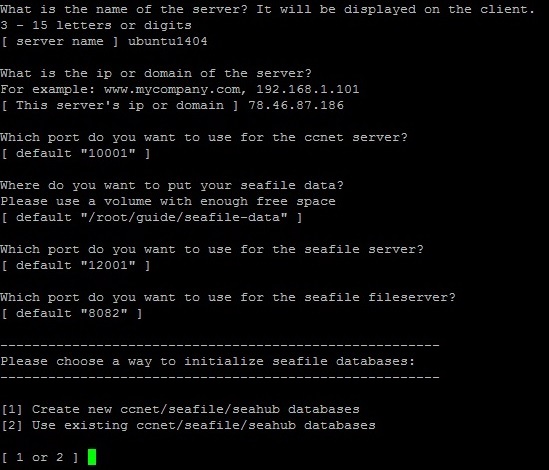 Next is you need to install the seafile server. Go to directory seafile-server-4.0.6 then run the script setup-seafile-mysql.sh. You need to complete the questions on this next procedure. 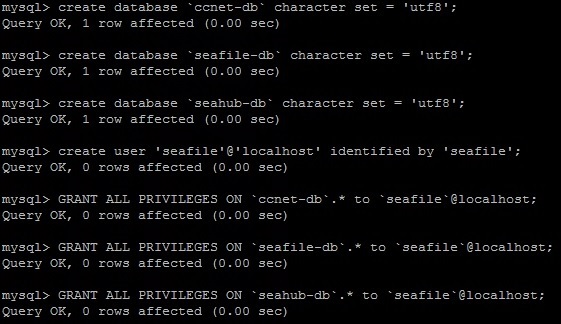 On starting service seafile, you need to go to directory seafile-server-4.0.6. then run as given on image. 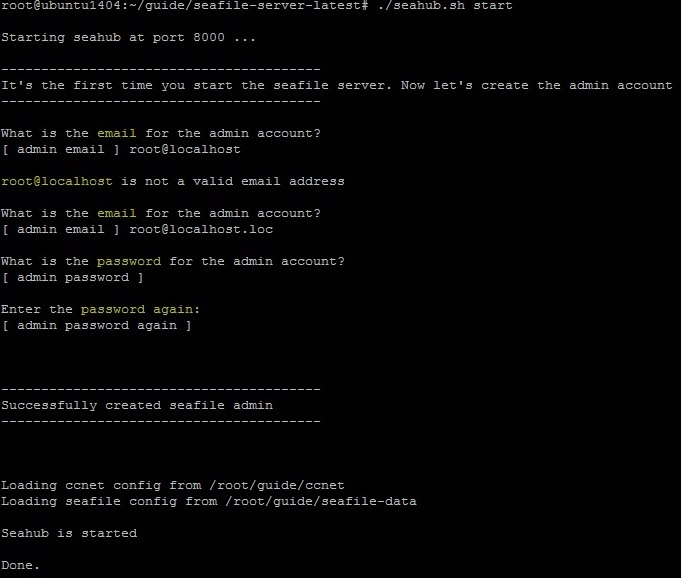 Then on starting seahub. the default port is 8000. To access the site using any browser you have, enter in address bar. 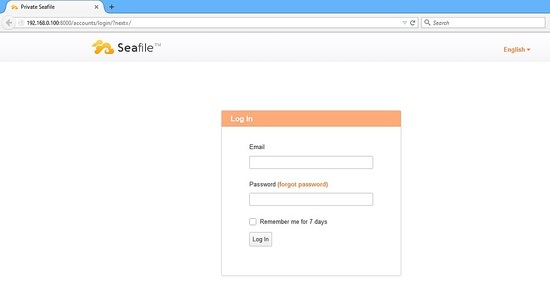 On this image you will see the sample web access. Using the admin account you have entered in Image 1.22, you need to enter the Email and Password. Once you login, you will see seafile web admin page. Great alternative for storage solution. Hi, this tuto is simply perfect. Only one question. 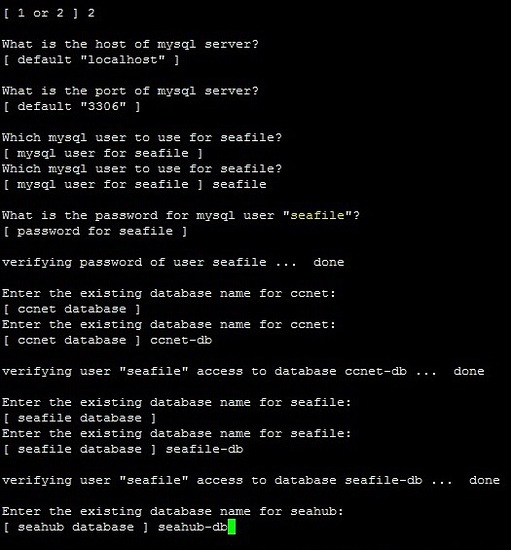 Can you explaint how step by step configure the https instead of http. I had problems with https and ubuntu 14.04 only. Thank you for your help and continous your great work. Martin B. The default installation is not secure like this. 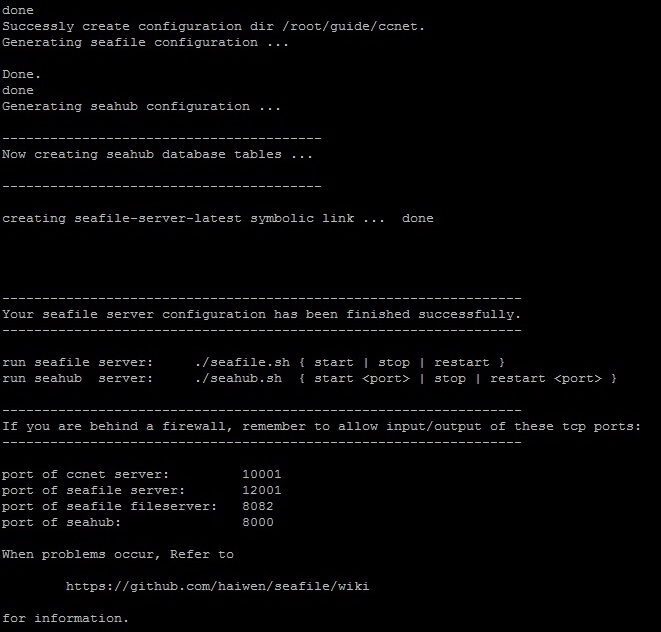 You should setup NGINX as forced HTTPS reverse proxy and run Seahub in FastCGI mode instead. 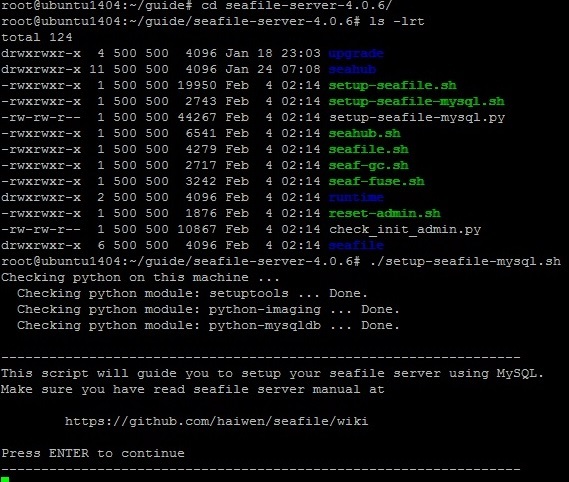 It's a bit dated but at https://forum.seafile-server.org/t/nginx-als-ssl-reverseproxy-fur-den-seafile-server-unter-debian-einrichten/157/1 you can see how. Or cherry pick the necessarry config for Ubuntu Trusty from the installer here. Hi! Thanks for your post! Helpfull. Why would you put this /root? That makes no sense to me at all from a security standpoint. 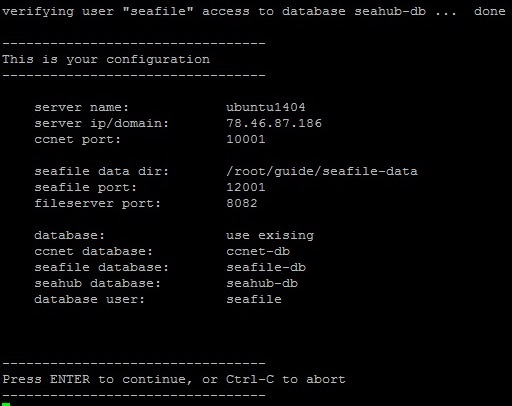 how can i start the seafile and seahub script at boot up for this installation?